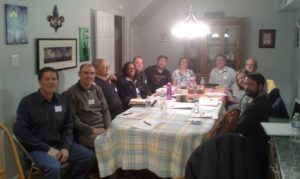 WASHINGTON, DC – Friday, March 13th, 2015: The City of Bowie’s Planning Office and Maryland Sun (a project of Community Power Network) have organized more than 50 Bowie neighbors to go solar together. After a competitive bidding process the group of homeowners has selected Maryland-based Sustainable Energy Systems to install systems for all of the participants. Organized with the help of the City of Bowie’s Planning Office, the collaboration is enabling participating homeowners to install solar panels on their homes at deeply discounted rates. See the full Bowie Selection Press Release Release for more.